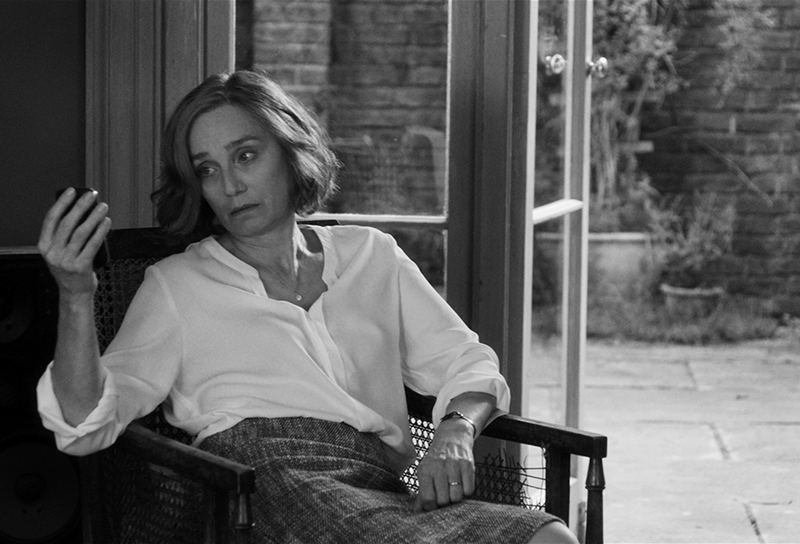 The Party, a short (71 minutes) contemporary combative film in black and white distributed by Madman Entertainment, has been written and directed by risk taker Sally Potter. Her 1992 film Orlando was one of the best in that decade and her background today is in choreography, music, performance art and experimental film. 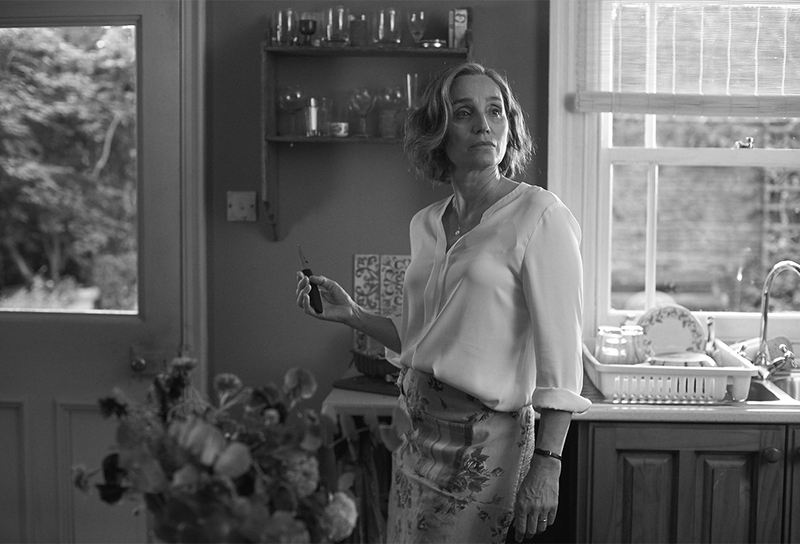 Her latest challenge features a notable British ensemble cast, including Kristin Scott Thomas (Janet), Timothy Spall (Bill), Patricia Clarkson (April), Emily Mortimer (Jinny), Cillian Murphy (Tom), Bruno Ganz (Gottfried) and Cherry Jones (Martha) who, as the writer director says herself, are ‘… a group of people failing abysmally to keep to their own party-line of what is morally right and politically left’. It is wonderfully wicked! Don’t read any more unless you want a few spoilers. The Party is a brilliant, back stabbing, brittle, biting, bumpy ride, one that takes place at a sophisticated soiree held in a salon of true discontent, especially when Janet’s husband Bill drops a bombshell of his own just as she’s to be acclaimed for achieving the aim of her life; political ascension. This group of deeply flawed people connected to each other in one way or another, find themselves physically and emotionally challenged when spending time together. Everything is exposed about who and what they are when invited to the home of Janet and Bill for a celebratory dinner. The occasion is all about congratulating Janet on her recent elevation to the role of Minister of Health in the British government. However, what ensues in the hour or so is presented as happening in ‘real time’, at what turns out to be the dinner party from hell. They end up crucifying each other over the canapes, as one revelation after another showcases the preoccupied obsession they all have with self, which is alarmingly becoming integral to contemporary western culture. The Party is a film that is frustrating, frightening as well as funny, although you wonder why you are laughing at moments that are more an inappropriate in a world where daily events want to make us weep. It reminded me of The Killing of the Sacred Deer, but only in this regard. 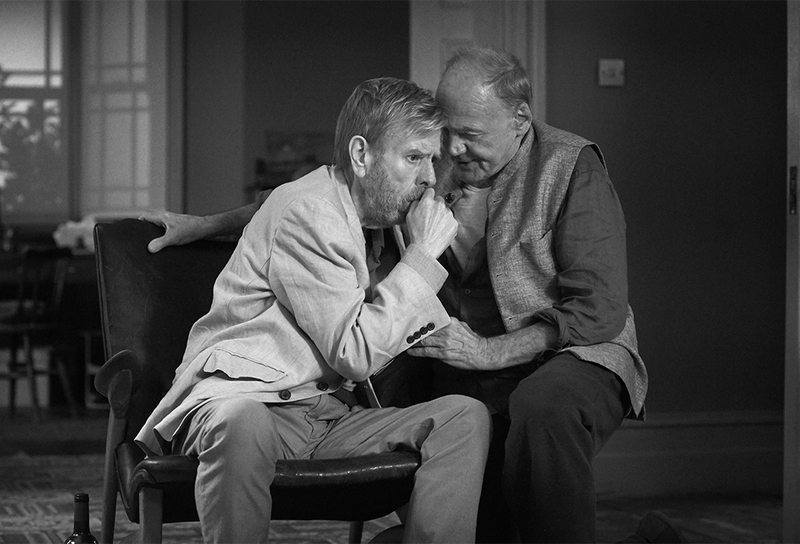 The brilliant script insightfully explores people and their relationships and the ideologies attached to politics. A challenging confrontation ‘cracks open the illusions people have about themselves’. 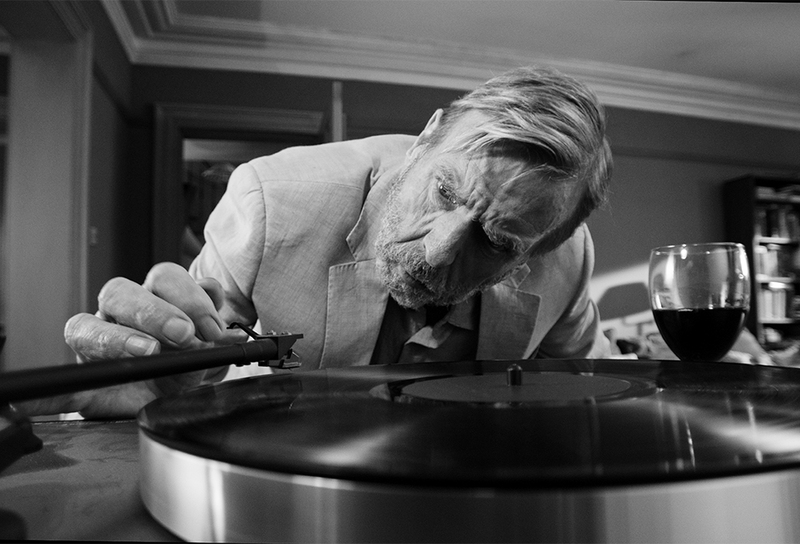 Shooting it in black and white only adds to the ‘reality’, which is both fast and furious, adhering to the spirit of the script. 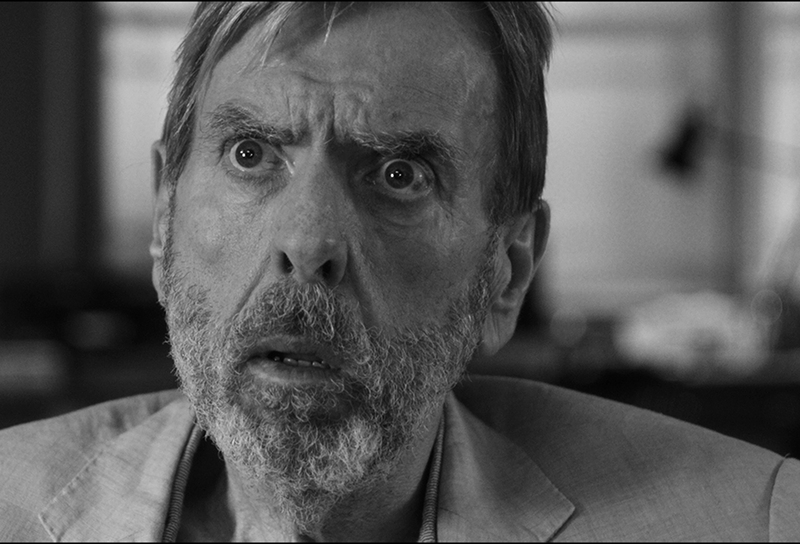 The cast has been hand-picked and all are outstanding, with a permanently dazed Timothy Spall offering an awe struck rumpled crumpled presence to his languid laconic linen clad lean frame; he spends most of his time slumped in a chair looking for all the world as if he’s bearing the weight of the crisis for everyone. Kirstin Scott-Thomas is not in any comfort zone. 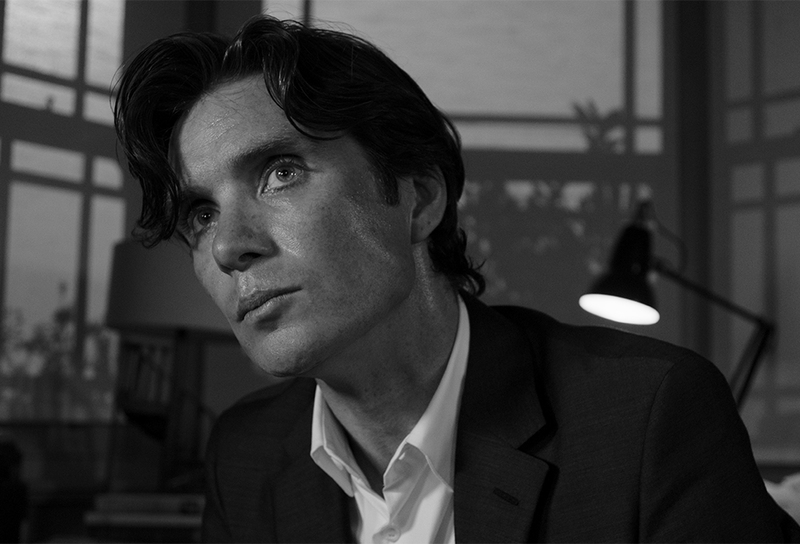 The Minister of Health is a complex character, one with an even darker secret, only revealed during the final moments of the film. 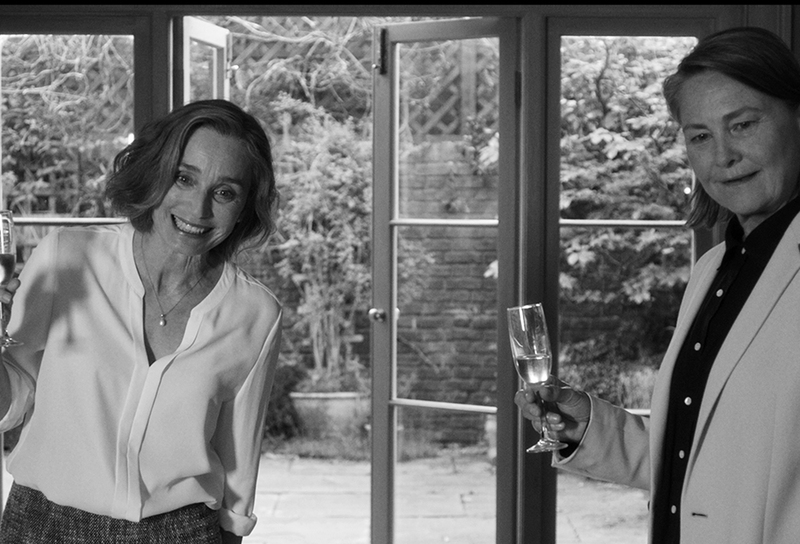 Patricia Clarkson stands out with that easy breezy natural laconic way she has of dealing with witty clever dialogue, while Bruno Ganz as her husband Gottfreid, who by the end of the story she looks on with new eyes, is a perfect foil – he’s truly an inspired choice. 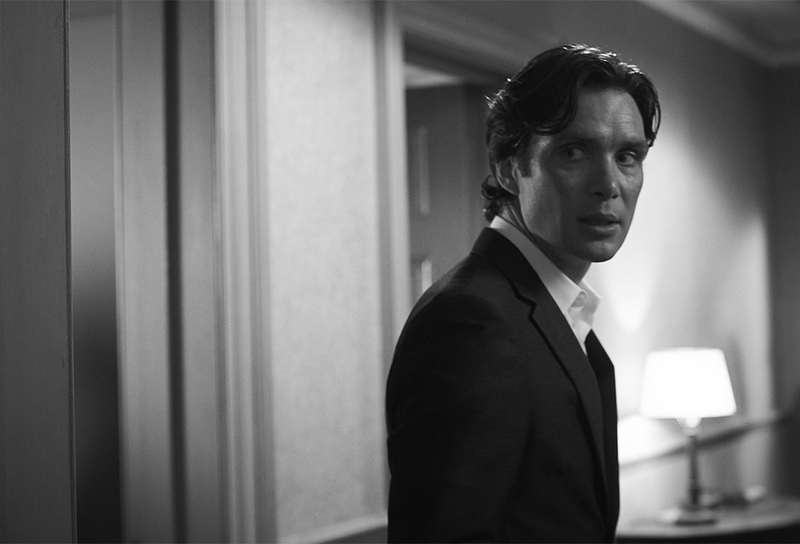 Cillian Murphy is marvellous as the drug sniffing Prada suit wearing sharp suited banker, who comes to The Party without his wife and with a gun in a holster. It is if he is having a fantasy about being an American gangster from the 30’s. He certainly has revenge on his mind and his mood could be likened to a time bomb tick tock ticking away until finally failing to control himself any longer, he erupts. The setting and costuming aid the storyline, with the house Janet and Bill live in, offering up an art devoid salon of emptiness that opens onto a confining high walled courtyard, which really doesn’t accommodate any form of retreat. 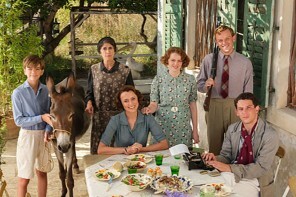 There is a clever nod to the former role of women like Janet who has at this high point in her life emerged from to become a minister in the government; she dons an old-fashioned apron straight over her work clothes, setting out to cook and cater for her visitors while proving she’s some sort of superwoman managing to keep on top of all before her. 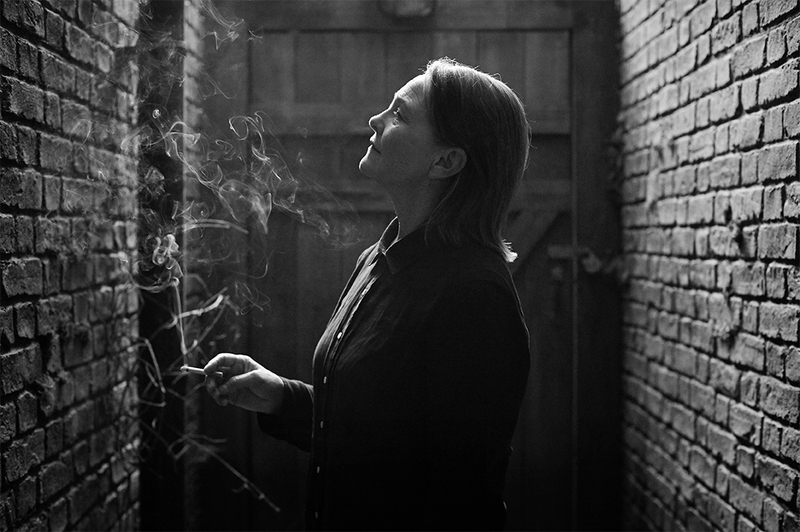 She and Bill have always been childless, which is highlighted by the unfolding relationships between Bill’s friend from his university days Martha played by Cherry Jones, who is there with her younger lover Jinny played by Emily Mortimer. Jinny has just discovered she is pregnant with triplets and neither has any idea about how just that event will change their lives, let alone have an impact on the crisis they are involved in. 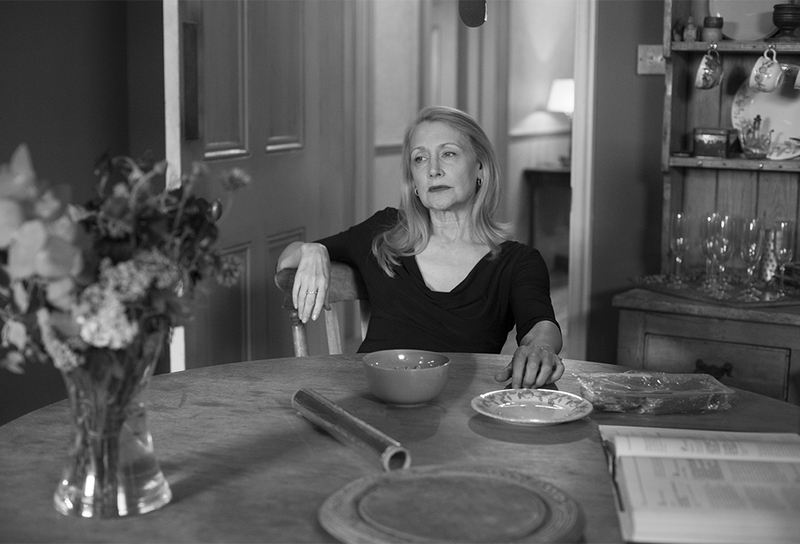 Written with what Sally Potter calls “an awareness of the absurdity of human suffering”, her ambitions … viewed through the prism of the politics of personal life; relationships, shifting tectonic plates of power, love, desire, betrayal, longing, disappointment, and so on, The Party is indeed extraordinary. Expect an adrenalin rush and a feeling of confusion when you join The Party, and then have a great ‘dinner out’ yourself to talk about it… the subsequent conversation is sure to be wickedly lively.